How can we understand this global rise of the far-right? How can we best understand the project of FvD? How can we build the broad anti-fascist coalition which is needed to counter this threath? The election of the fascist conspiracy-thinker Bolsonaro as president of Brasil is the latest example of the insurgance of the far-right today. Also in Europe far-right and fascist parties are taking part in government. In the Netherlands Forum voor Democratie is growing rapidly and, contrary to Wilders, building a party apparatus. The centre of the party stands in a fascist tradition, while a larger layer of softer members provides them with more legitimacy. 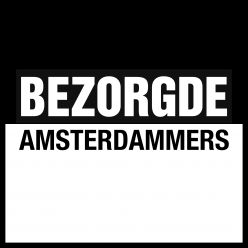 Federico Lafaire van een groep Bezorgde Amsterdammers die zich zorgen maken over de verrechtsing en opkomend racisme in Amsterdam en komen daartegen in actie.